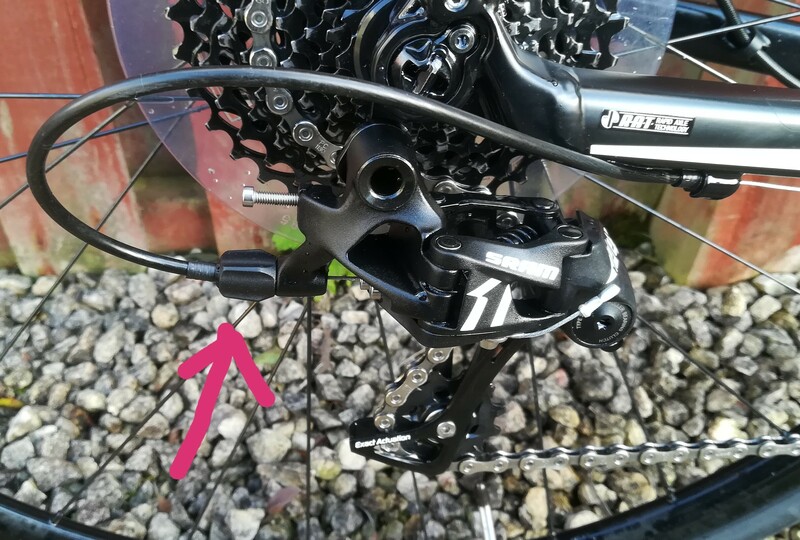 What does this barrel adjuster do on the rear derailleur (SRAM Apex 1)? On this SRAM Apex 1 derailleur, what does this barrel adjuster do? What happens if I turn it clockwise/anti-clockwise? It lengthens or shortens the housing length to adjust the lateral position of the derailleur cage. It's used to adjust derailleur 'indexing' so that the chain sits properly on the cassette sprockets. Mountain bike shifter units have barrel adjusters, road bikes use this one as well as having frame mounted or 'in-line' adjusters some where on the housing run. Not the answer you're looking for? Browse other questions tagged derailleur sram adjustment or ask your own question. Where are my barrel adjusters for my shifting cables? What does “SRAM Custom” (front derailleur) mean? Why does my rear derailleur's indexing work for either the high or the low gears, but not both?